Hi all :) For our third and final recipe for Mild Acne, we are doing a cleansing and soothing facial scrub. We only use the gentlest of ingredients to ensure that your skin is cleansed gently without aggravating acne. For the base, we use SoapLab's Shea Olive cream base. Olive is a soothing ingredient, used commonly for skin irritations. For a nice mild scrubby effect, we simply use all natural brown sugar. No need for microbeads and microplastics that pollute the environment, when all natural ingredients like sugar are even better for your skin. It is course enough to exfoliate but gentle enough for acne prone skin. Lemon essential oil not only gives a fresh citrusy scent, it also helps to fight acne causing bacteria. 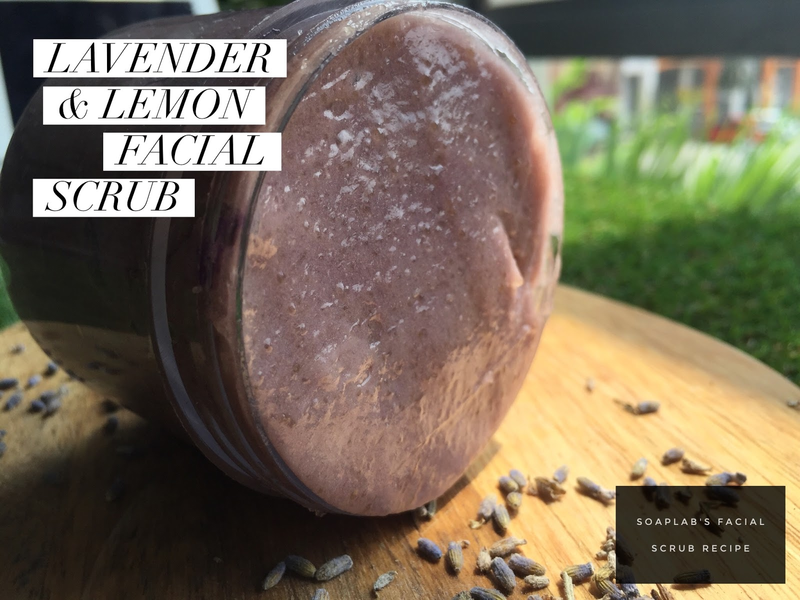 Finally we use some lavender just like our previous recipes for mild acne. Soothing, antimicrobial, calming ... lavender is everything that anyone with acne needs. We suggest you give out samples to your customers that have acne and they will come back for more in no time!